Ahlstrom offers a full range of glass microfiber filters manufactured from 100% pure borosilicate glass. Because of their intrinsic properties glass microfiber filters have wide applications in many areas of laboratory analysis especially when fine filtration and high loading capacity is required. Applications for Ahlstrom glass microfiber filters include environmental analysis for water wastewater testing of soils air pollution and monitoring research and process biochemistry and gravimetric analysis involving ignition of samples. 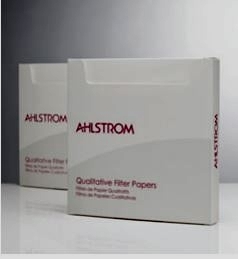 Ahlstrom glass microfiber filters are also found in the filtration of hot gases and liquids and in pre-filtration.